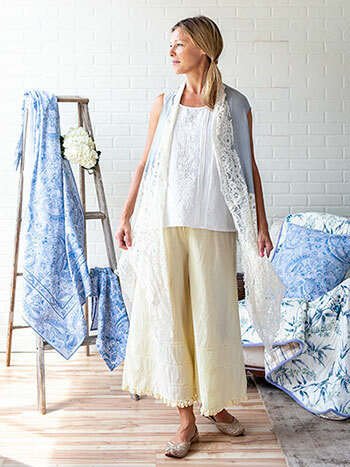 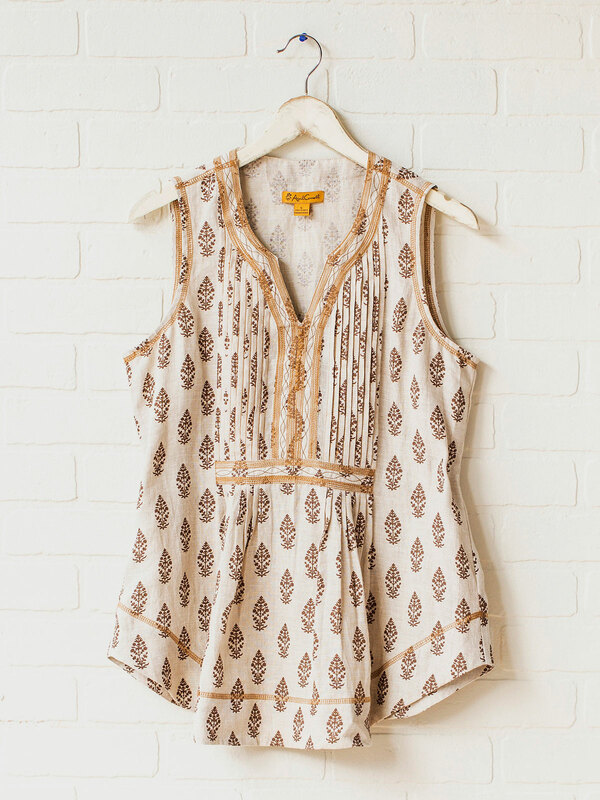 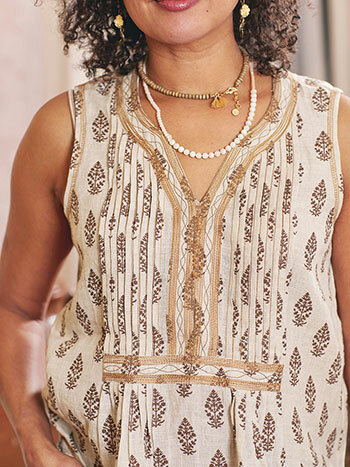 Elegant linen fabric adorned with a block print inspired tree motif and subtly contrasting top stitching. The Mussoorie Linen camisole is a one of a kind design that also features carefully constructed pleats and a sophisticated notched neckline. Marvelous.